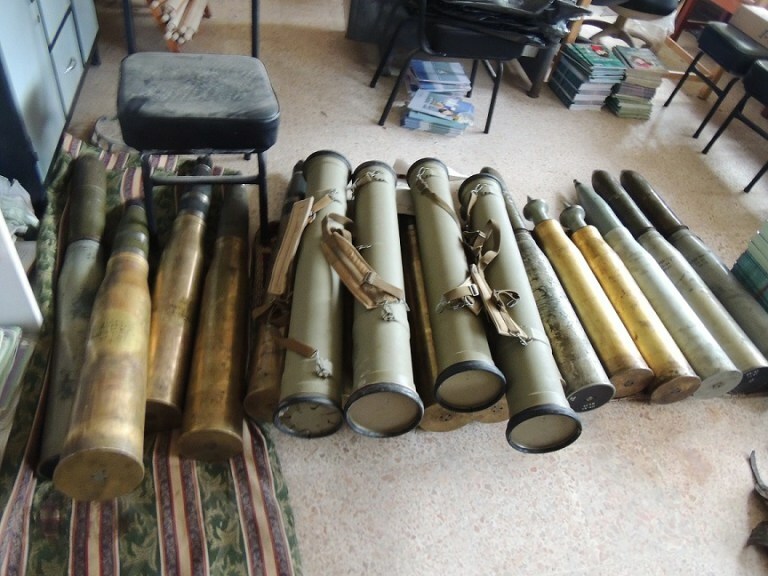 Independent Syrian monitoring organisation Nabaa revealed a scheme of arms smuggling to the southern Syria. According to observers, all the arms flows are managed by an unnamed person from a local tribe. He lives in a rural area near the town of Quneitra and well known to the leaders of many groups. 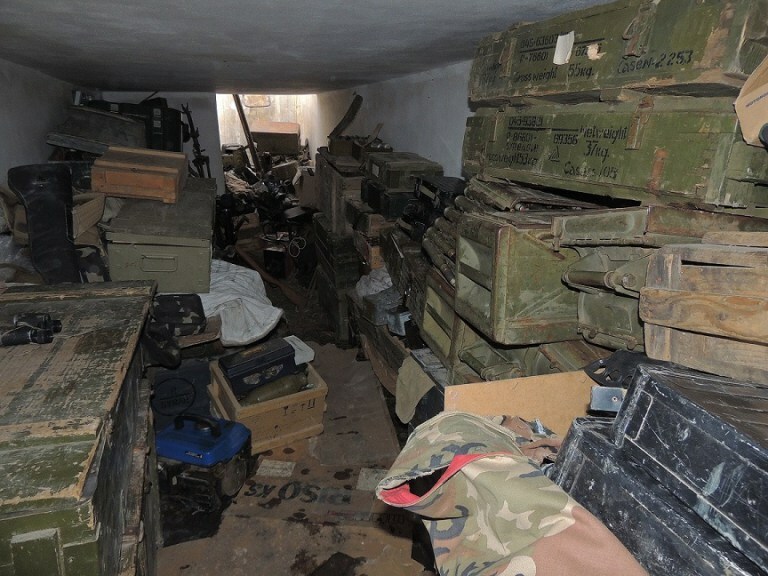 According to Nabaa weapons are smuggled from the Israeli-held Golan Heights to the city of Rafid. The shipment is accomplished via vehicles carrying food. Armed group Jaysh Khalid bin Walid, the Islamic state unit operating in the south-west of Syria, has large stockpiles of this contraband weaponry, bought from Free Syrian Army. According to the Nabaa publication, Jordan military and The Center for Military Operations of the FSA tried to take control of the arms supply in the south-west of Syria. For this purpose, Jordan created a special office that was engaged in identifying the smuggling routes and people involved in it, but no success followed. However the office revealed another way of smuggling supplies – from the northeast of Syria. 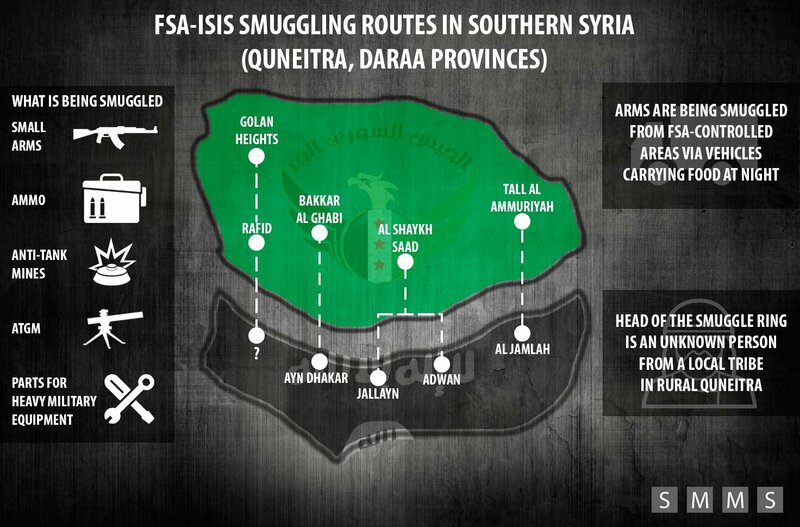 Despite all the efforts of the FSA backers to cut the supply lines, the Islamic State terrorists continue to receive arms and ammunition through the smuggling channels. This helped ISIS to organise series of attacks that resulted in the capture of Sakhm, Tasil and Abdin settlements and the expansion of control zone in Daraa province.